"So... have you had a chocolate fish yet?" This was the question that startled me some two years ago. I was volunteering in a not-for-profit organisation at that time and I was having morning tea with the team. Uh oh, I said to myself. This must be the time when the locals would challenge me to something out of the ordinary, like us Pinoys asking our foreign friends to try out balut! But chocolate fish? What an odd combination! Then they passed on to me a fish-shaped chocolate bar. And inside was yummy marshmallow! 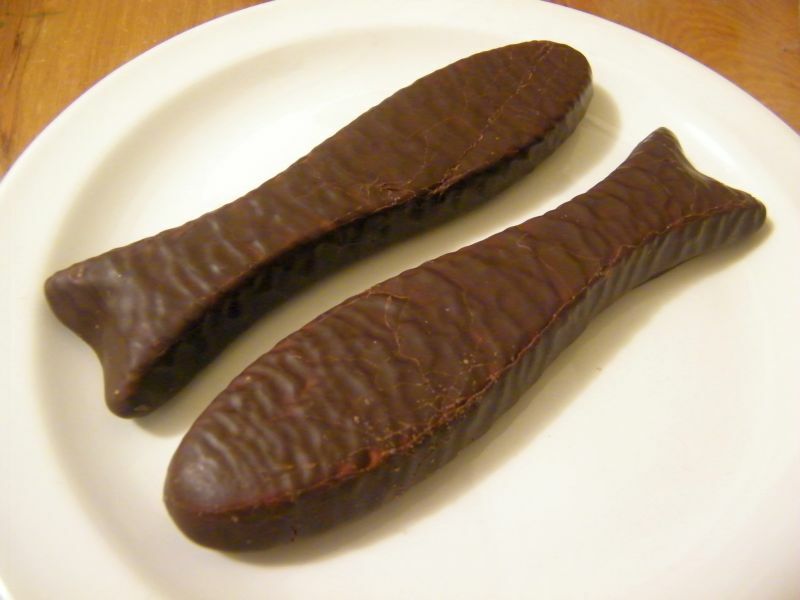 The chocolate fish is a New Zealand invention; I think you can only find it here (or is it also available in Australia?). There's nothing fishy about it (besides the shape); it's yummy chocolate and marshmallow. I guess this concept is along the lines of the chocolate frog, which made an appearance in the Harry Potter series. Though I have yet to see a chocolate frog in this part of the world. 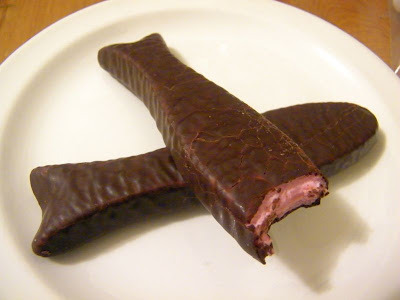 I'm wondering if you've ever heard of a recipe for chocolate fish. I want to make some for a book club.